We all know that one of the best ways to connect across cultures is through music. Its power to connect and blend cultures is second perhaps only to food. A recent piece on NPR about the Australian singer Gurrumul has led me to reflect on other musical blendings I have encountered recently. 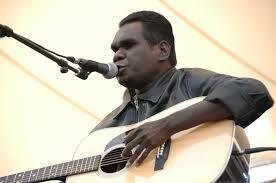 Listening to the music of Gurrumul at first gives you the impression that it could be North American folk music. In fact, it’s clear that his work is within a universal folk tradition. 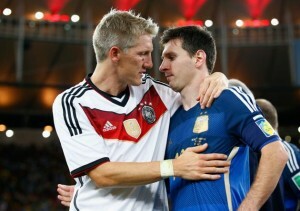 But he rarely sings in English. Mostly he sings in the indigenous language of his people, the Yolngu, of northeast Arnhem Land in northern Australia. It’s not just the language that’s distinctive. He sings about the everyday life of the Yolngu. He has written, for example, wonderful songs extoling the orange footed scrubfoul (a strange bird indigenous to the region – see clip below) or about the rainbow python, who in the Yolugu mythology created the world. One of his rare songs in English is “Gurrumul History (I was born blind)” in which talks about himself and his family and about his experiences as a blind man, including traveling to New York City.